Are you losing 80-90% of your website visitors? 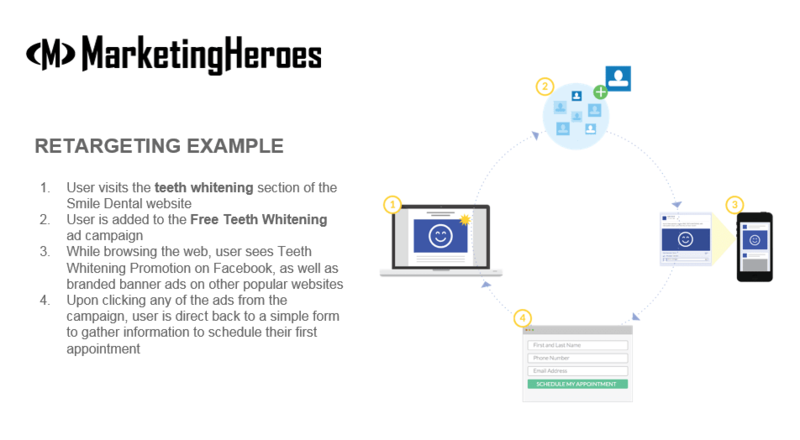 Fill out the form below to learn about the Marketing Heroes remarketing system to recover those lost sales. Losing 98% Of Your Website Traffic? You know when you go to a website and you notice ads following you around? That’s retargeting – also known as Remarketing. Up until a few short years ago, this technology was only available to the big players like Amazon. Now this technology is available to small businesses as well. How Does Retargeting / Remarketing Help? When people go to your website, it’s possible they weren’t ready to make a buying decision right then. That’s why your conversion rates are low. Retargeting / Remarketing ads will increase those conversions up to 20-30% to leads or sales by following the “lost” visitors to get them back to your website again and again! How Can We Help With Retargeting / Remarketing? Marketing Heroes are experts when it comes to retargeting. It’s probably why you’re on this page to begin with! Call us today at (979) 314-7067 to discover how Retargeting can increase your website conversion rates! Marketing Heroes has been a fantastic ally in the growth of our company and Central Truck Sales fully endorses their services to anyone inquiring. Thanks Marketing Heroes! -CENTRAL TRUCK SALES INC.